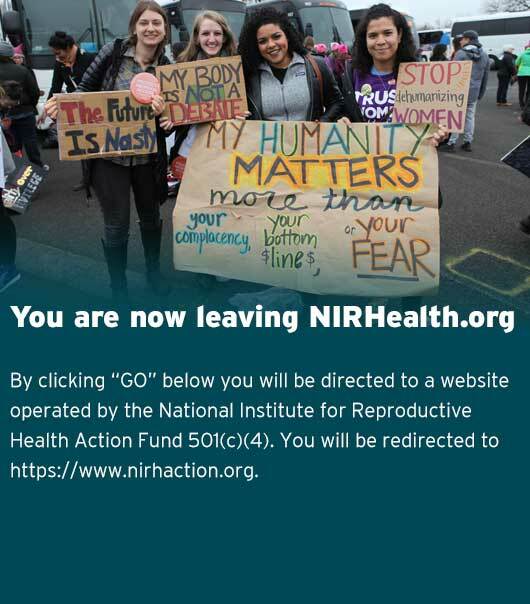 Gaining Ground: Proactive Reproductive Health and Rights Legislation in the States is the National Institute’s third annual report analyzing proactive legislation from the previous year. 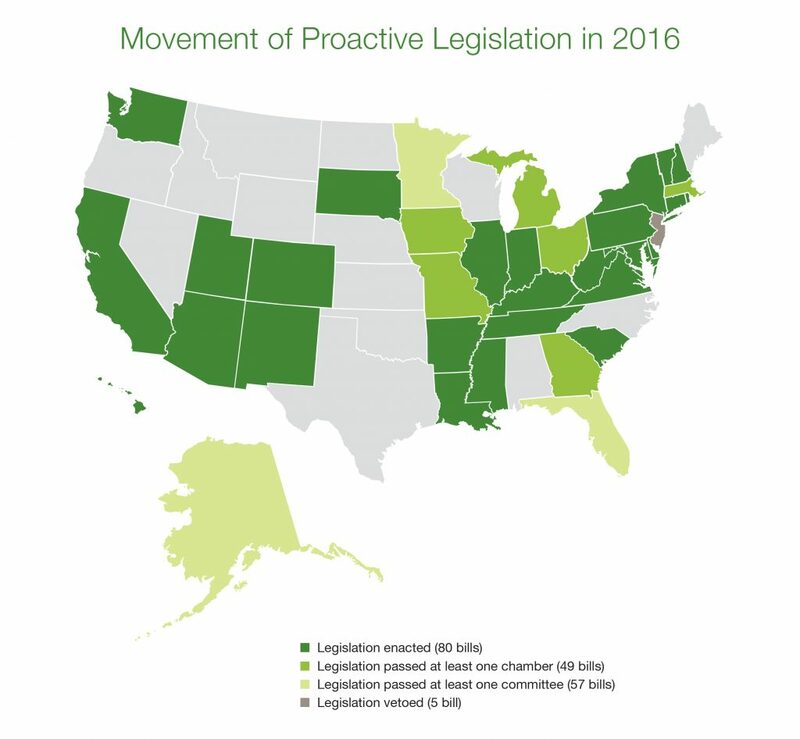 Even though two-thirds of statehouses were dominated by opponents of reproductive health and rights in 2016, advocates and legislators in 36 states and the District of Columbia moved 191 proactive pieces of legislation aimed at improving women’s lives. Promoting healthy pregnancies, parents, and infants. 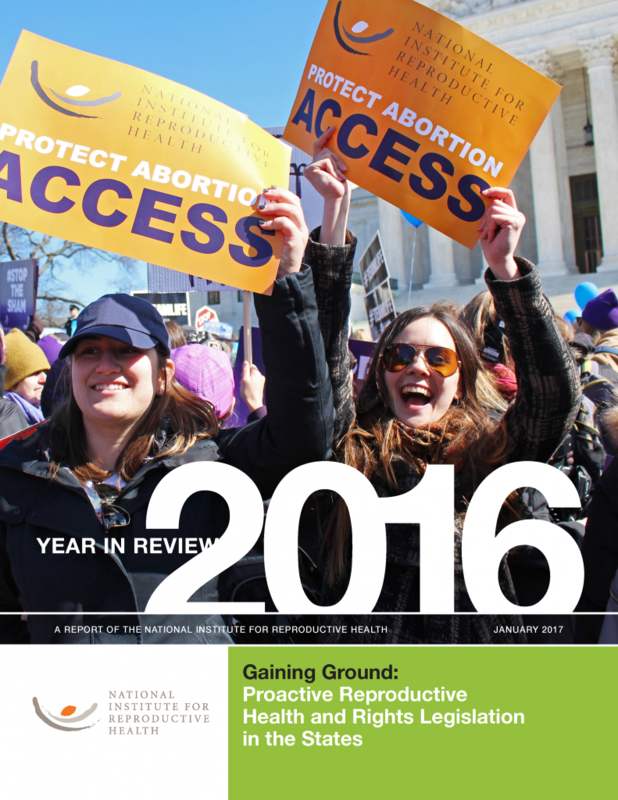 To see the expansion of proactive reproductive health and rights policies in the states over the last few years, download our 2014 proactive policy report and our 2015 proactive policy report. Thirty-six states and the District of Columbia proposed or enacted policies in 2016 aimed at improving reproductive and sexual health. State legislators advanced 191 proactive policies through at least one committee. A total of 80 affirmative reproductive health policies passed, up from 30 just two years ago. New trends included laws that would protect patient privacy, allow pregnant women to stay on the job, and enable parenting students to take sick leave. Promote healthy women and families by enacting legislation that provides comprehensive insurance coverage for the full range of reproductive health care, including contraception and abortion, prenatal care, postpartum care, and breastfeeding support and supplies for all women, regardless of where their insurance comes from or their immigration status. Ensure that abortion patients receive medically accurate and appropriate care by allowing doctors to provide only scientifically supported information and care and enabling patients to refuse biased, misleading, or unnecessary information, testing, and protocols. Protect abortion patients and providers by keeping their personal information confidential, allowing them to sue those who harass them to prevent further harassment and violence, and working with law enforcement to ensure that those who are tasked with protecting clinics are equipped with the training and information they need to do so. Ensure access to abortion care by prohibiting restrictions that do not provide legitimate health benefits, and by removing existing laws that impose those burdens. Expand access to reproductive health care for women in rural areas by allowing for the provision of health services, including medication abortion, through telemedicine.